The six maps reproduced below are part of Utah Drawn: An Exhibition of Rare Maps displayed in the Utah Capitol Building in 2017. Maps serve many purposes. They represent physical geographies, recording landmarks, routes, and boundaries. But they also reflect varying perceptions, imaginations, values, and aspirations. This is certainly true of the maps presented here. Over five centuries, empires and explorers along with printers and publishers worked first to trace the outline of a continent that was new to Europeans and then, eventually, to fill in its vast middle. These maps show the steady increase of geographic knowledge of the Americas, but they also demonstrate the economic and political interests that produced that knowledge and the individuals who benefited from it. They hint at what map makers and their sponsors determined was worth documenting, identifying, and, in some cases, possessing. They often erase, obscure, and distort. Put simply: maps are more than cartographic representations of known or imagined physical features on the landscape. As you examine these maps, try to determine the purposes for which they were made and any mistruths, omissions, and distortions they may contain. 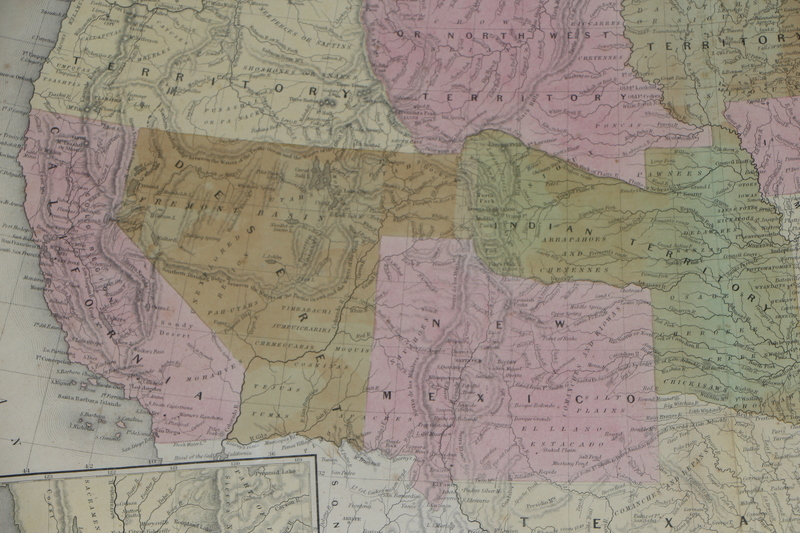 Original maps shown are from the private collection of Salt Lake City businessman Stephen Boulay, with additional contributions from the Utah State Historical Society, LDS Church History Department, L. Tom Perry Special Collections at Brigham Young University, Special Collections at the J. Willard Marriott Library, and the American West Center at the University of Utah. 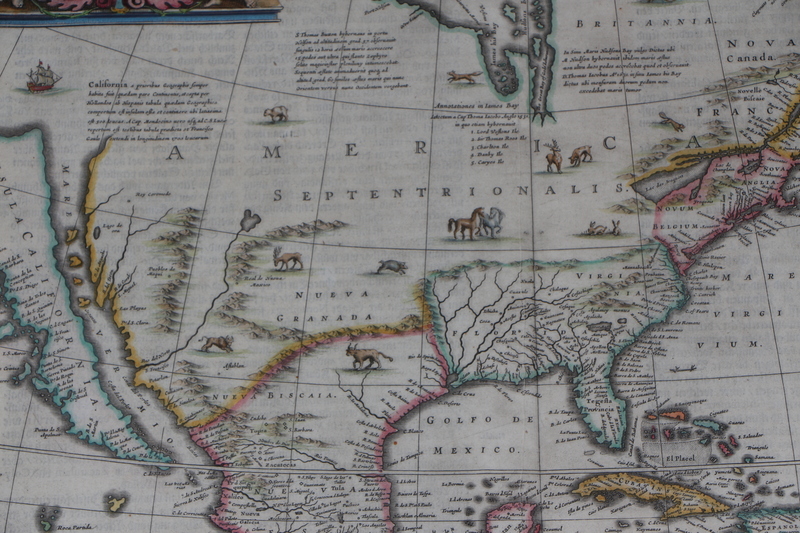 This striking hand-colored map by the Dutch cartographer Jan Jansson (1588-1664) was the first atlas map to treat North America on its own page, separate from the rest of the western hemisphere. Jansson produced this definitive synthesis of the best cartographic knowledge then available. In the process, he helped to canonize both true and false details about North America’s geography for generations. This was not the first map to depict California as an island, for instance, but its widespread distribution helped to popularize that misconception. The eastern seaboard illustrates the French presence along the St. Lawrence River, the English in New England and Virginia, and the Dutch in what is labeled “Novum Belgium.” Though the lake feeding the Rio Del Norte might look familiar to modern Utahns, the Great Salt Lake did not enter the written record until the Timpanogos Utes related its existence to the Dominguez-Escalanté Expedition of 1776. 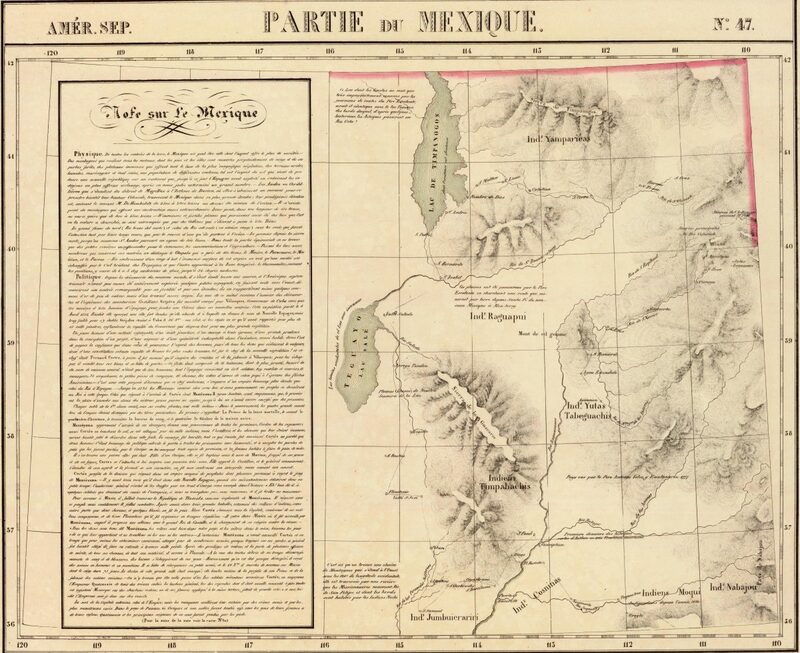 Bernardo de Miera y Pacheco (1713-1785) traveled with the Dominguez-Escalante Expedition of 1776-1777 and drew this map as a record of the journey. 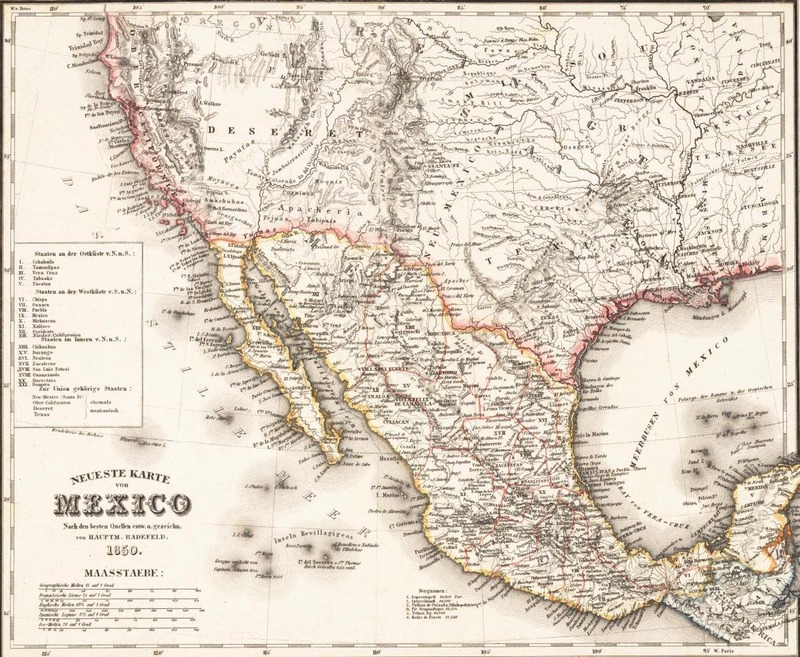 The party served the Spanish interest in establishing an overland route connecting Mexico to Alta California, which remained an overseas colony of New Spain in spite of its relative geographic proximity well into the next century. 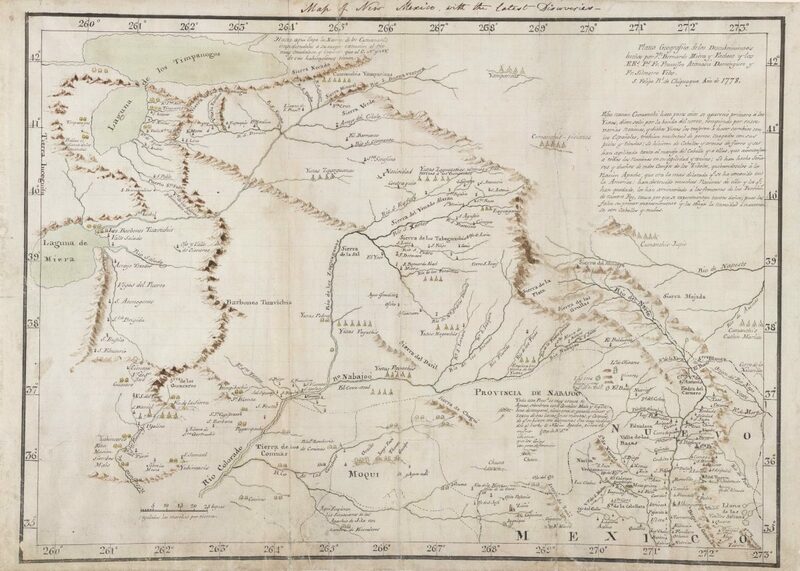 In this map, Miera depicted the Rio Colorado with new clarity. This map depicted “Laguna de los Timpanogos” (Utah Lake) for the first time. It also illustrates the “Great River of the West,” a mythical river that tantalized those hoping to find a water passage to Asia for nearly two hundred years. Contrary to later maps, this conflation of Utah’s modern Green River and Sevier River terminated in a lake within the Great Basin. Miera named it Laguna de Miera after himself, but modern Utahns will know it as Sevier Lake. Drawn by the Belgian cartographer Philippe Marie Vandermaelen (1795-1869), this map depicted the region from Lake Timpanogos (Utah Lake) to present day Colorado and Wyoming. It appeared in Vandermaelen’s six-volume Atlas Universel, published in 1827. As the first atlas to depict the entire globe with a large, consistent scale (26 miles to the inch), the individual maps in this atlas could be combined on a globe approximately 7.75 meters in diameter. The Princeton University Library’s has rendered the resulting globe digitally. The fourth volume focused on North America, he illustrated the Trans-Mississippi West in about twenty sheets. Even if the U.S. government never recognized the expansive state of Deseret, the prolific mapmakers at Meyer’s publishing company Bibliographisches Institut in Hildburghausen, Germany did, if only briefly. Like Young’s map of Deseret in Mitchell’s Universal Atlas, Meyer’s Grosser Hand-Atlas published a rare map of Deseret as originally proposed. That was not a coincidence. Meyer and his cartographer Radefeld relied on Mitchell’s atlas to produce their 1850-1854 editions of the Hand-Atlas. Fueled by emerging mass-market interest, atlases experienced a resurgence in popularity in the 1840s and 1850s. Produced for S. Augustus Mitchell’s contribution to that market by his longtime engraver and associate James H. Young, this map captured the territorial expansion of the newly-continental United States in progress. While the eastern United States might look relatively familiar—save the lack of West Virginia as a distinct state—the western territories bear only a vague similarity to the familiar state boundaries that would eventually settle. This map captured an already-reduced Utah Territory that stretched from roughly the Sierra Nevada range to the continental divide. Note that the map erroneously called that territory by its then-defunct name of Deseret. This particular mid-1850 edition of the atlas had two U.S. maps, with each identifying the new territory by its alternate names. The United States never recognized an entity called “Deseret.” Western political events moved rather quickly at times, so it is understandable that a map prepared in early 1850 and published at the end of the year would not be able to keep up. Nonetheless, the territory which should have been labeled Utah Territory never looked like this. Selling atlases in the mass market was a race as often as it was a contest over accuracy and comprehensiveness. 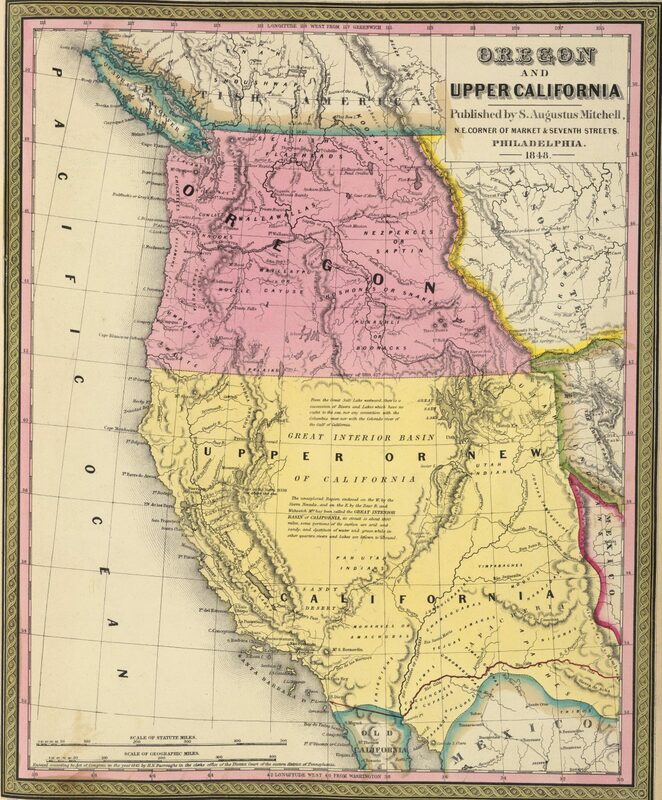 Produced rapidly for Mitchell’s Atlas Universal in 1850 by adding new boundaries to an existing base map from the previous decade, this was one of the first maps to show the new state of California. It had little else going for it. Its intellectual debt to the 1840s meant that Frémont practically authored the Great Basin. The map even identified it as the Fremont Basin to at least the 1855 edition. Over the 1850s, Mitchell updated the map, adding in subsequent editions the cities and counties that had been conspicuously absent in the rushed earlier versions.